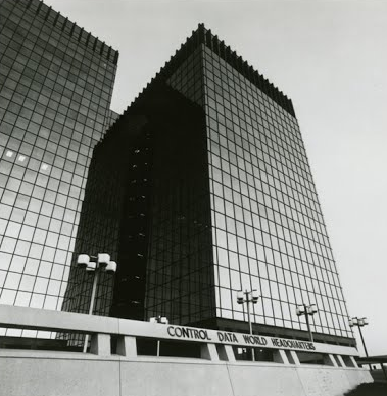 Control Data Corporation (CDC) was incorporated on July 8, 1957 in Minneapolis, Minnesota. CDC grew rapidly, becoming one of the nine major computer companies through most of the 1960s; the others were IBM, Burroughs Corporation, DEC, NCR, GE, Honeywell, RCA and UNIVAC. Of the members forming CDC, William Norris was the unanimous choice to become the chief executive officer of the new company. Seymour Cray soon became the chief designer, though at the time of CDC's formation he was still in the process of completing a prototype for the Naval Tactical Data System (NTDS), and he did not leave Sperry to join CDC until it was complete. The company produced some of the fastest computers of the time, including the CDC 6600 and CDC 7600 designed by Seymour Cray and generally considered the first supercomputers. After several years of losses in the early 1980s, CDC made the decision to leave the computer manufacturing business and sell those parts of the company in 1988, a process that was completed in 1992 with the creation of Control Data Systems, Inc. The remaining businesses of CDC currently operate as Ceridian. In 1999 Control Data Systems Inc was acquired by Syntegra. William C Norris retired in 1986 and Robert Price was named CEO.